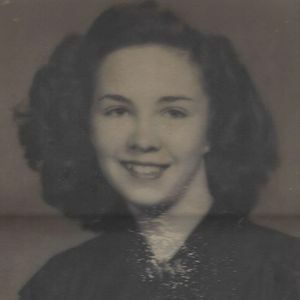 GREENVILLE- Helen Katherine Allen, 84, of Central City died Wednesday, November 23, 2016 at Owensboro Health Muhlenberg Community Hospital in Greenville. Ms. Allen was born in Christian County on September 22, 1932. She was a homemaker and a member of Duvall's Chapel General Baptist Church. Survivors include her son, Steven (Angie) Allen of Central City; daughter, Joyce (Steve) Cartwright of Greenville; eight grandchildren; nine great-grandchildren; one great-great grandchild. Funeral services will be Sunday, November 27, 2016 at 1:00 PM at Tucker Funeral Home in Central City with Rev. Ron Doss officiating. Visitation will Saturday, November 26, 2016 at 5:00 PM at the funeral home. Graveside services will be held Monday, November 28, 2016 at 11:00 AM at Ridgetop Cemetery in Crofton. Online condolences can be made at www.tuckerfuneralhomes.com. The beautiful and interactive Eternal Tribute tells Helen 's life story the way it deserves to be told in words, pictures and video. So sorry to hear of Ms Allen's passing. We never want to give up our loved ones no matter the circumstances. Love and prayers! !